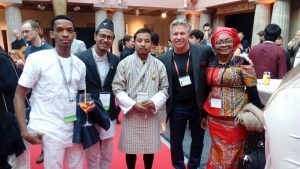 Mr. Dhan Kumar Tamang, the founder of Eco Waste Solution, a waste management firm that operates in Punakha and Wangdi represented Bhutan in the GSEA finals in Frankfurt, Germany. He is currently a student in Gaeddu College of Business Studies who is pursuing his Master’s degree in Business Administration. The GSEA is a global competition for students who operate a profitable business while attending a college or university. 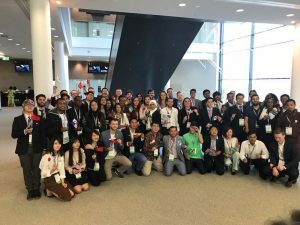 This year the event was held on the 27-28 of April 2017 and there were fifty five students from all over the world participating in the event. His waste management company ‘Eco Waste Solution’ is an innovative social organisation that focuses on providing integrated approach to waste management service with zero-waste strategy. It was started in the year 2015 and is the first waste management company in Wangdue Phodrang. They currently provide services in two major districts in Bhutan, Punakha and Wangdue Phodrang. Mr. Dhan was also the winner of the Bhutan’s Best Student Entrepreneurship Award 2016, which was awarded to him at the closing ceremony of the Global Entrepreneurship Week 2016, an event hosted by Loden. 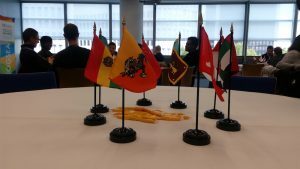 We would like to extend our warmest felicitations to Mr. Dhan for representing Bhutan in a global event and we hope he continues to inspire other aspiring student entrepreneurs to pursue their entrepreneurial goals.